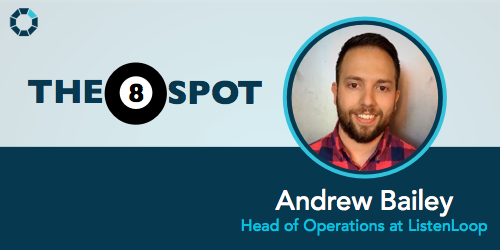 For our next 8 Spot, we interview Andrew Bailey, who lives in New York City and is Head of Operations at ListenLoop. Andrew has a vast background in sales and operations management spanning over 10 years. He’s led a successful sales team that has exceeded monthly quotas and has a thorough understanding of how sales pipelines work. In his current role at ListenLoop, he spends his time understanding the business’ marketing metrics to better convert leads into customers. Also, you’ll find him looking out for ways to make business process improvements and create overall operational efficiencies within the company. This is a good segway to take a moment to describe what ListenLoop does. The company’s product is an ad retargeting platform that enables customers to nurture prospects through their buying funnel using segmentation and personalization. In other words, if businesses want to reach other business with online ads in a smarter and more automated way which is tailored then this is a solution you’ll need to try. 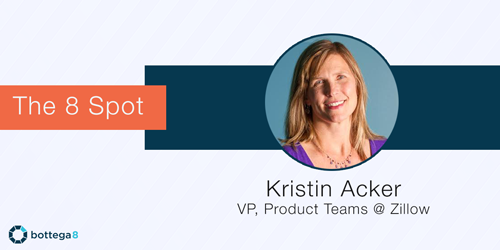 It’s that time for our 3rd installment of the 8 spot where we interview Kristin Acker, who’s one of the first members of the Zillow team and currently leads a number of product development teams working on real estate and home improvement features, as well as Zillow mobile apps. Kristin’s professional experience spans across several companies within roles of leading product strategy and design teams. Before Zillow, she led Program Management and User Interface Design teams at several companies including Microsoft, PictureIQ, Expedia, and Pure Networks. At Microsoft, she worked primarily on consumer products such as Money, Publisher, Works, and Picture It. Kristin attended Stanford where she was a varsity rower and graduated with a Bachelor of Arts in Economics and Political Science. She lives in Seattle with her husband and three teenage sons. Now that you’ve got a brief overview of who Kristin is, let’s get into the interview and get to know her better. 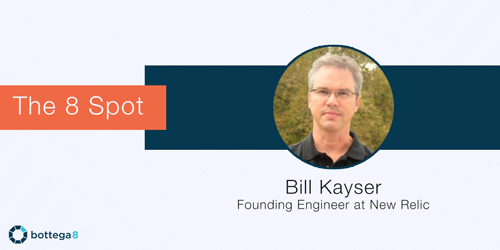 For our second 8 spot interview I’d like to introduce you to Bill Kayser the founding engineer at New Relic. For those not familiar with New Relic, it’s a software analytics platform that helps you make sense of your web or mobile application’s data. It’s often used to gain business insight and help drive decisions based on the data that your software is producing. Before New Relic, Bill worked in various roles in technology from a consultant at IBM to a software architect at SupplyChainge as well as a Development Manager at Wily Technology. Currently, he’s a Software Architect at New Relic where he works on multiple different projects within the company. As mentioned in a previous post, a really awesome tool to test multiple browsers at once is BrowserSync. 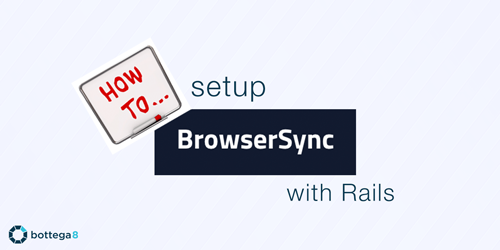 Using BrowserSync is super easy to setup. > browser-sync start --proxy localhost:3000 --files "app/assets/stylesheets/*.scss, app/views/*.html.erb"
Then if you open up your access URL (e.g. http://10.0.1.3:3001) on your iPad, iPhone, and Blackberry, you’ll be able to click and scroll through your web app and all the pages will stay synced across devices. With the options provided in this example, the page will refresh whenever you make a scss or html change in your app. You can customize this to your liking. Because of the asset pipeline, BrowserSync does a full page reload instead of just injecting the css, however this is still works pretty well. There is a github issue discussing this issue. Happy coding (and testing of course)! At Bottega8, we’ve been using Heroku for 3 years to deploy our client applications as well as our own internal apps. Heroku is a platform as a service (PaaS) that allows developers to build and run applications entirely in the cloud. It’s a mature platform with millions of people using their service. The platform makes it super easy for anyone to deploy an application online. Over the years they added support for applications built in multiple languages like Ruby, PHP, Node.JS, Java, Scala, and Python to name a few. As they grew, Heroku needed to serve their customer’s growing cloud application needs. In response to this growing need, Heroku launched their partner program to help customers find professionals well versed on the Heroku platform. 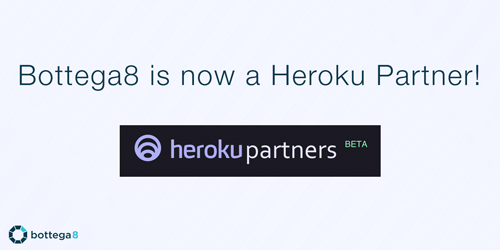 I am proud to announce that Bottega8 is now a Heroku partner! 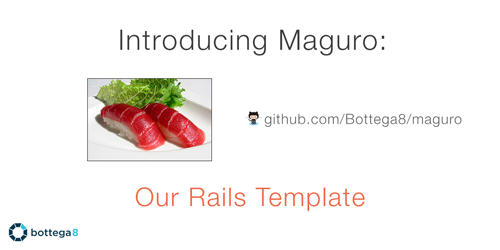 We’re excited to help new and existing Heroku customers build their applications. You can find our profile here. If you have any questions about Heroku, how to use it, or it’s capabilities, feel free to reach out and we’ll be happy to answer any of your questions. This is a very special post because it’s the first feature in our new series, The 8 Spot. The format of the series is simple; we interview professionals in their field and ask them 8 simple questions. That’s it! 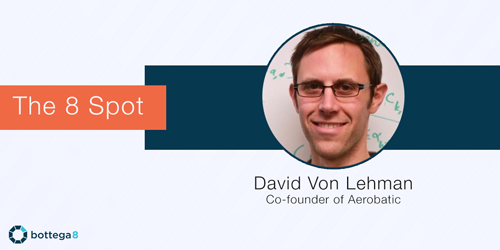 To kick things off, we’d like to introduce you to David Von Lehman, co-founder of Aerobatic. Aerobatic is the easiest way for developers to host their single page applications. For the last 8 years David has worked in various roles such as Sr. Application Architect and Software Engineer primarily working on systems that power the Nordstrom’s e-commerce site. In a talk last year, he shared his experience on building out the recommendation engine called Recommendo API and introducing Node.js and AWS (Amazon Web Services) to Nordstrom’s Data Lab. The wonderful world of cross browser web development and the tools that will help you keep your sanity. The bane of all web developers across the world is cross browser compatibility. Every developer has had that moment when they think they’ve finished developing their beautiful web page and think to themselves “Look’s like I’m almost done, all I have to do is one last check on Internet Explorer…” only to realize their webpage looks like it was developed by a baby banging on a keyboard. Below is how we typically tackle this pesky problem and some of the tools that we use. The first step in cross browser compatibility success is understanding the current browsers market. 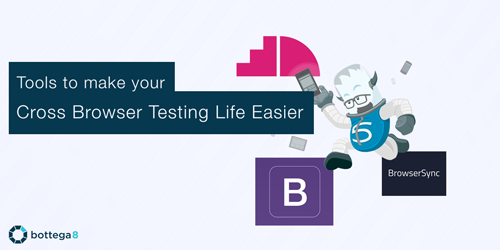 It’s unrealistic to say you will support ALL browsers on ALL platform, as the amount of testing needed would become cost prohibitive, even for the deepest pockets. A better approach is to understand who your target audience is, what types of browsers they use, and supporting only those browsers. For example, if your application is targeting millennials, your target set of browsers might be all current major desktop browser versions (Firefox, Chrome, and IE) plus one older version. Also you would want to support mobile browsers on Android and iPhone. If your target demographic is leaning more towards company employees of a corporation that uses older versions of IE and has a deal with Blackberry, you will have to include those browsers and devices to your browser test matrix. To figure out what browser to support, you can use browser usage market share data. Wikipedia is a great place to find the market shares of both desktop and mobile browsers. Also if you need to know mobile specific versions of different mobile browsers you can find iPhone’s and Android’s version market share on their developer sites. One of the biggest sticking point is what version of IE support. You can find IE8’s and IE7’s market shares on these ever hopeful countdown sites. These days every company is talking about data and how they can use it. They have gone so far as to dedicate whole departments and millions of dollars on figuring out how to best use data. 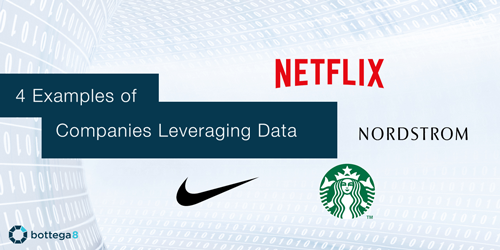 Some ways that companies have leveraged data are to create better products, provide better services for their customers, and help make critical decisions. Below are 4 examples of how some companies are doing this. Netflix the streaming video service is notorious for using data to benefit it’s customer base by providing better content and a better experience. One notable example is that they used anonymous data from consumer viewing habits to create the Netflix original series “House of Cards”. They used specific user data to make a connection between people who liked to watch the old BBC version of “House of Cards” also liked to watch Kevin Spacey movies. This insight from their data helped them cast Kevin Spacey in the Netflix original series of House of Cards. You can read more in this New York Times article. Let’s be around in 20 years, it’s going to be a fun ride. Let’s build a lasting company that provides valuable services and products that people will be happy to pay for. Let’s build a company that is self sufficient. Let’s fuel our own growth with our own revenue. Let’s build an awesome company. Let’s create great products and services. Let’s listen to our customers and create solutions that will solve their problems. Let’s convert our knowledge and skills into something that brings a smile to people’s faces. Let’s tackle challenging and interesting problems. Let’s build software. 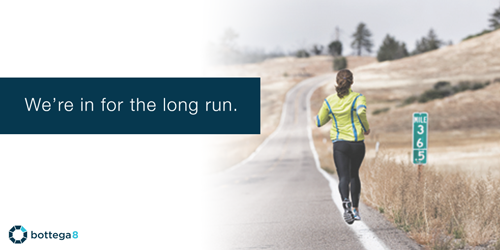 Let’s make ourselves, our services, and our products better every day. Let’s make decisions based on lasting and long term outcomes rather than maximizing short term gains. Let’s think of our relationships as marriages and not as transactions. Let’s set realistic goals and hit them consistently. Let’s march on. Now, every new project you create will have all the configurations you want! No more removing turbolinks for me! Woo Hoo! These steps are always the same for pretty much every project we create, so not having to recode them saves us a lot of time and headache. If you find yourself in a similar situation doing the same configurations over and over, try creating your own rails application template. It can save you many boring hours down the line.